Cyclamen (Persicum) are exceptional potted flowering houseplants that usually blooms between the months of September-March. It is a native of the Mediterranean and North Africa. It comes in shades of pink, red, white, and purple. 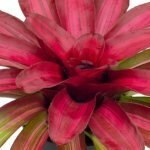 It is the prefect plant to brighten the indoors during the dull, dreary winter months. 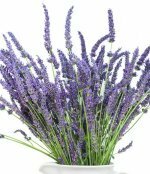 When in full bloom, this cheery plant will quickly fill an entire room with its sweet fragrance. It features upright flowers growing six to eight inches tall above its handsome dark green, heart-shape foliage that is mottled in silver. It is perennial which means you can enjoy it for years. This plant, which grows from tough-skinned tubers, thrives in cool temperatures and goes dormant during the summer. Optimum conditions for the plant includes good air circulation with no drafts; therefore, a temperature of sixty four degree Fahrenheit is ideal, with a night time temperature kept above fifty degree Fahrenheit. When choosing a your plant, be sure to select one with only a few flowers open. This way you will know the color of the blooms. The flower stems should stand straight up, and there should be lots of buds underneath the foliage that will develop and bloom later. Be sure to avoid any that look yellow or are soft or wilting. In order for you to be successful with a cyclamen plant, you must set the tuber high (just slightly above the soil line) in a potting mixture that contains plenty of organic matter. Place in a cool location where it gets bright, indirect light. grooming by removing any fading flowers and yellowing leaves. You need to remove the entire stem, along with the dying flower or leaf. This is necessary to prevent botrytis which is a gray, fuzzy fungus that can quickly kill your plant. together to form a long centerpiece works great for a more attractive dining table. Light: Give your plant bright, indirect light in the winter. While your plant is dormant during the summer, keep it out of bright light. Water: Water from the bottom by pouring watering into the pot holder, and let it sit there for about 20 minutes, and then remove the water which has not been absorbed by the potting soil. This is the best way to keep the soil humid in autumn and winter without risking over-watering and rotting of the plant. Make sure the plant has excellent drainage with a potting medium that holds water well. The soil should be moist, but not too wet. Humidity: High humidity, especially during winter, is crucial. To maintain high humidity, place them on a tray filled with water on a layer of stones or pebbles, making sure the pot does not sit in water. Also, this can be attained by spraying a fine mist water on the leaves. Special humidity trays can be purchased or a room humidifier can be used to add moisture to the air. Fertilizer: Feed with a low-nitrogen liquid fertilizer every couple of weeks during the blossoming season; this way, flowers and leaves will develop completely. After flowering has finished, keep plant dry by gradually withholding water until all the leaves turn yellow. When all the growth has died down, the plant will go into a state of rest for the summer (between the months of April-July). Place the pot on its side in a cool spot and keep it dry until midsummer. When new sprouts starts to appear, modest watering can start again with just enough to maintain its water needs. Then repot using fresh potting soil, place it in a bright spot and water to keep the soil continually moist. Cyclamen are toxic (especially the tubers or roots). They contain irritating saponins that can harm your pets. They should not be chewed or ingested by dogs and cats. It can result in clinical signs of drooling, vomiting and diarrhea. Plant ingested in large amounts can result in cardiac problems (e.g., abnormal heart rate and rhythm), and seizures and death. If you suspect your pet may have ingested the plant, call the 24/7 Animal Poison Control Center 800-213-6680.